R1998, Mary Dunn. 38", M. Registered as a "cranberry self," which hardly seems like enough to say about the deep, beautiful color. 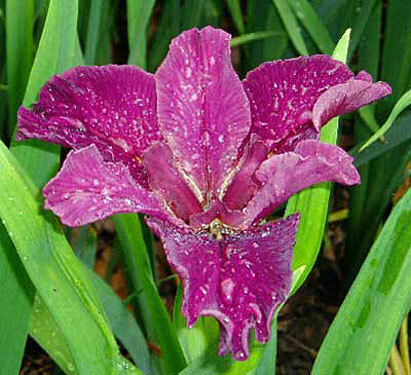 Very vigorous and an excellent garden iris. Petals are a bit fluted. If the color is not unique, it is close to it. Rich and Famous x Natural Wonder.